And now for the activities! Have children explore different ways to move around the space using the roller board. Child takes prone position on roller board and uses hands and arms to propel roller board around cones and back to starting position. Body is balanced on roller board, feet do not touch floor, and hands and arms work in rhythmic coordination. Child can try the same challenge sitting on knees on the roller board. Mark of a path or road using Mavalus Removable Poster Tape. Create a single line of tape or two lines to form a “lane” for the child to stay in. Make curves, zigzags, twists or turns. 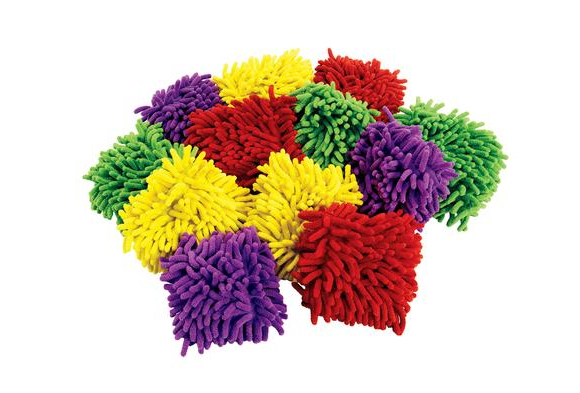 The bean bag is a “handy” loose material and you can never have too many! Make sure you have enough so that each child has one if not four at their disposal. There are an endless number of games that you can play. Let the children make up their own games too. Here are six super games that can be played indoors or outside. The game continues until each child in the group has a turn tossing and catching the bean bag. How many pieces do you wish? 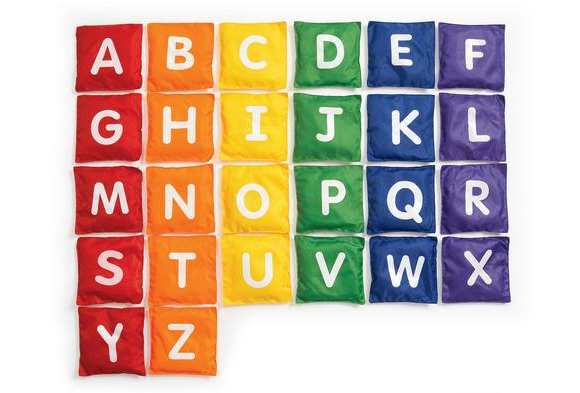 Whoever is holding the bean bag at the end of the rhyme, gets to say how many pieces (i.e., from one to twenty). 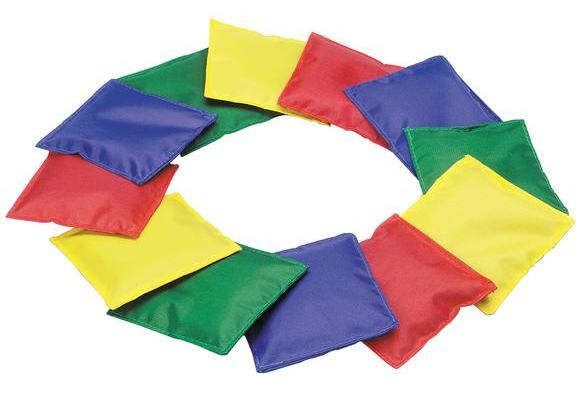 The bean bag is then passed again from person to person while counting that many times. When the number is reached, the game begins again while chanting the rhyme and passing the bean bag. With children sitting cross legged in a circle, show them the precious gold—a yellow bean bag. Tell them that the precious gold will be lost. Have one child leave the room while you give the gold (bean bag) to another child sitting in the circle. That child hides the gold under their legs. The child who left the room is instructed to return to circle and find the missing gold. The child who is seeking the gold walks around the inside of the circle. Everyone sitting in the circle begins clapping. They clap slower or more softly if the child seeking the gold moves away from the gold and louder and faster when the seeker gets closer to the gold. Children clap their loudest and fastest when the seeker is directly in front of the child who is hiding the gold. The seeker points to the child who he thinks is hiding the gold. If his guess is incorrect, the seeker continues walking and listening to the clapping until he guesses correctly. When the seeker guesses who has the gold, that child gives him the gold. The seeker joins the circle and sits on the floor. Another child is asked to leave the room and the gold is given to another child sitting in the circle who hides it under their legs. The game continues until everyone has had a turn finding the gold. Make two boundaries with jump ropes or tape about 12-15 feet apart. Have children stand behind one of the boundaries with several bean bags at their feet. At the opposite boundary place a bucket or basket for each child. When you say a locomotor movement (walk, run, gallop, skip, creep on hands and knees, frog jump, etc.) children will pick up a bean bag and travel that way (i.e., gallop) to the opposite side and put the bean bag in the container (bucket or basket) and run back to the starting boundary. The game continues with different locomotor commands. Have children form a straight line one person behind the other. If you have a large group of children, divide them into 2 or 3 lines parallel to each other. Give the first person in each line a bean bag. When you say, “go” the first person in each line passes the bean bag overhead to the person behind him. The bean bag continues to be passed overhead from player to player. The last person receiving the bean bag quickly moves to the front of the line. The game continues until the original leader once again stands at the start of the line. The activity is repeated, but this time the bean bag is passed between the legs of the players. The third time the game is played, the bean bag is passed overhead to the person behind them. The second person in line must pass the bean bag between their legs to the third person behind them. The third person passes the bean bag over their head to the next person and so forth in the same “over-under” pattern. Each child places a bean bag on their head and then walks around the designated play space keeping the bean bag balanced. If the bag falls off a child’s head, that child must let it drop to the ground and freeze (turn into ice). To become unfrozen another player must come to help. The helping player can hold onto his own bean bag (placing one hand on top of the bean bag on his head) and pick up the fallen bean bag with the other hand and give it to the frozen player. The player is now unfrozen and puts the bean bag on his head and is free to move again. 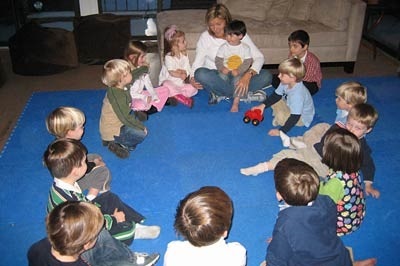 Circle Time, also called Group Time, Rug Time or Meeting Time refers to any time that a group of children come together for activities that involve everyone. It’s a special time to share songs, fingerplays, chants and rhymes, flannel board stories, puppets, play rhythm instruments, read a story, and participate in movement games, relaxation activities or whatever else that particular day may bring. Circle Time provides for a listening time, a time to develop attention span, promote oral communication, and a time for learning new concepts and skills. 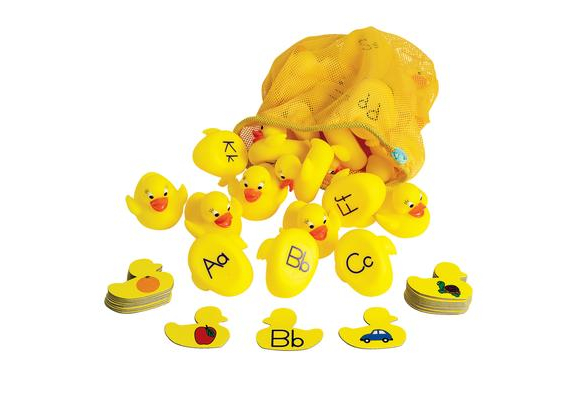 It’s a time for auditory memory, sensory experiences, socialization, and a time for FUN! Circle Time can be a complex, dynamic interaction among adults, children and resources used. I will be giving a presentation, “Giggles & Wiggles! 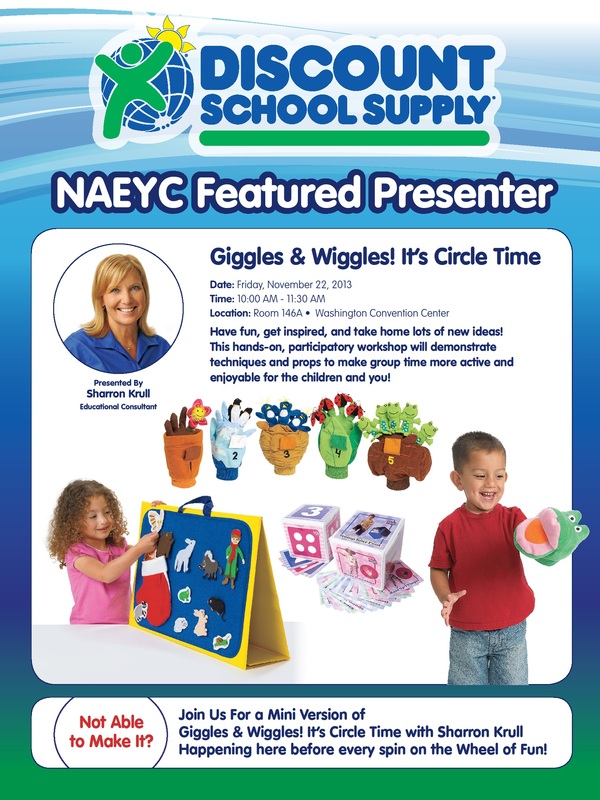 It’s Circle Time,” at the 2013 NAEYC Annual Conference & Expo in Washington, DC at the Convention Center on Friday, November 22, 2013, from 10:00 AM – 11:30 AM. Techniques and props for presenting music, movement, and creative activities will have you up off your seat and on your feet! 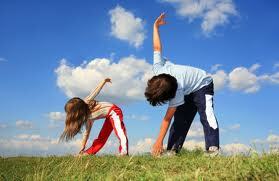 Have fun, get inspired, and learn how to make your group time more active and enjoyable for you and the children! Get more ideas by joining me for a mini version of “Giggles & Wiggles” happening in the Discount School Supply® booth(booth #1922) before every spin on the “Wheel of Fun” in the Exhibit Hall. We’ll be singing, moving, and even giving away Circle Time props. See you there!